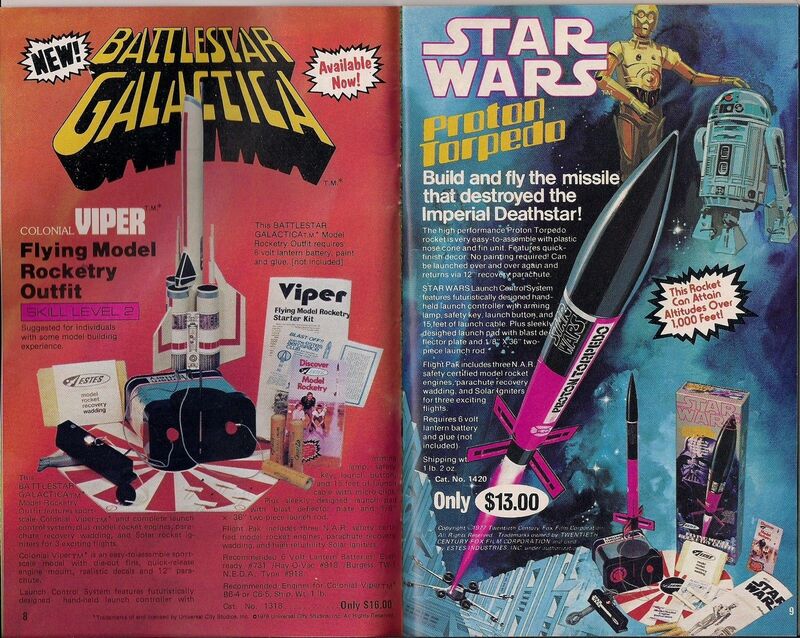 Just the front and back covers and a two-page spread from each catalog, but it’s enough to give you an idea of the once proud art of advertising to kids. Beautiful colors, beautiful layouts. 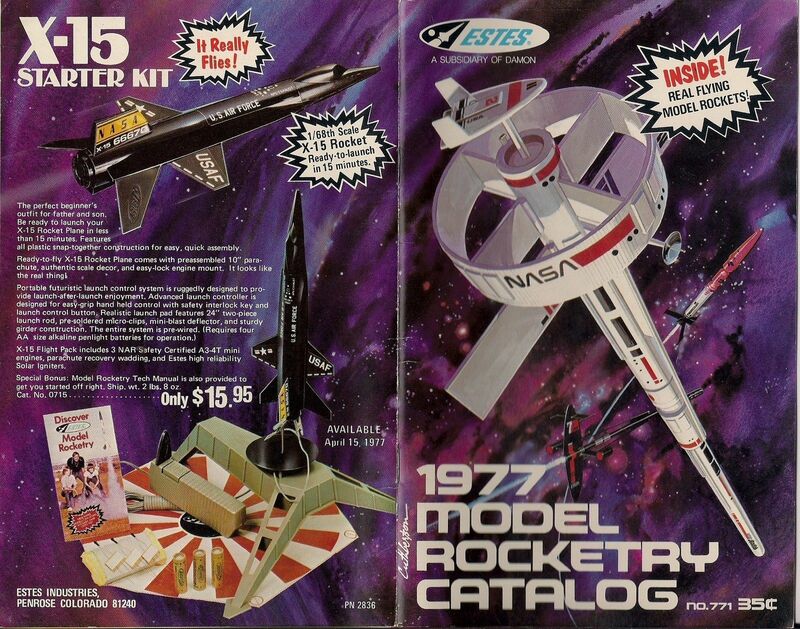 Estes was the biggest model rocket company in the ’70s and ’80s. Centuri was second. YESS!! Dood I HAD these catalogs. I even remember where I got them—at good ol’ Karl’s Toys and Hobbies when they were in the Fox Hills Mall. Wow. 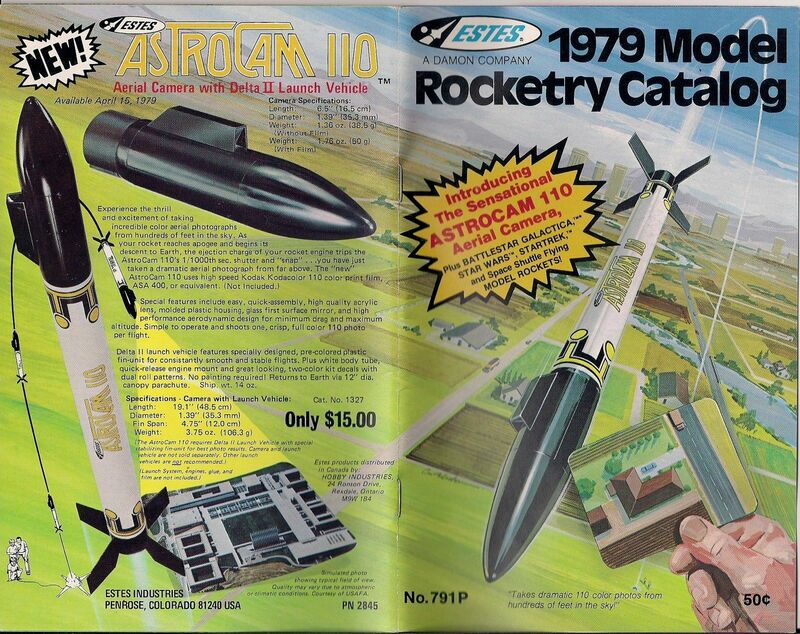 I remember totally fantasizing about owning that Astrocam 110 rocket and taking rad pictures from what I imagined to be the edge of Earth’s stratosphere. 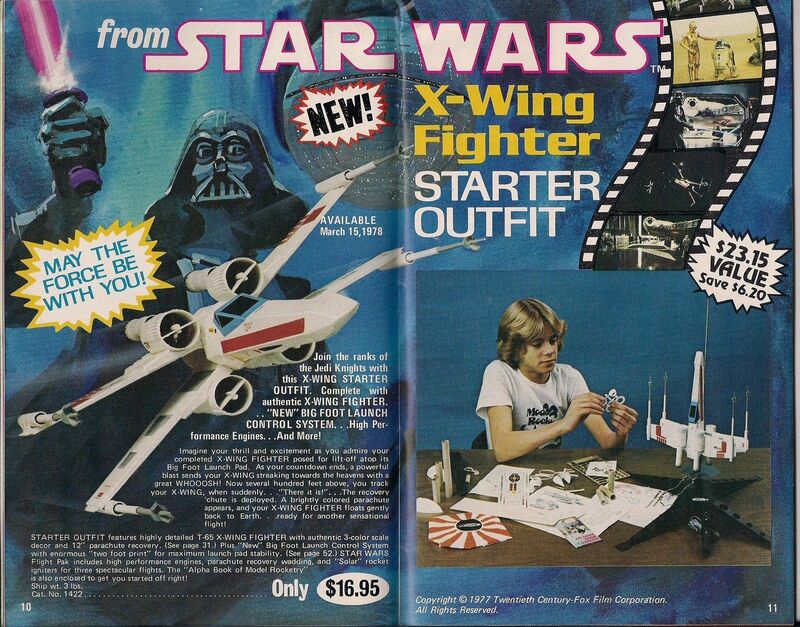 Man, it seemed so pricey back then, but now that I look at it…geez. Just $15? Well, that’s just the way it was. 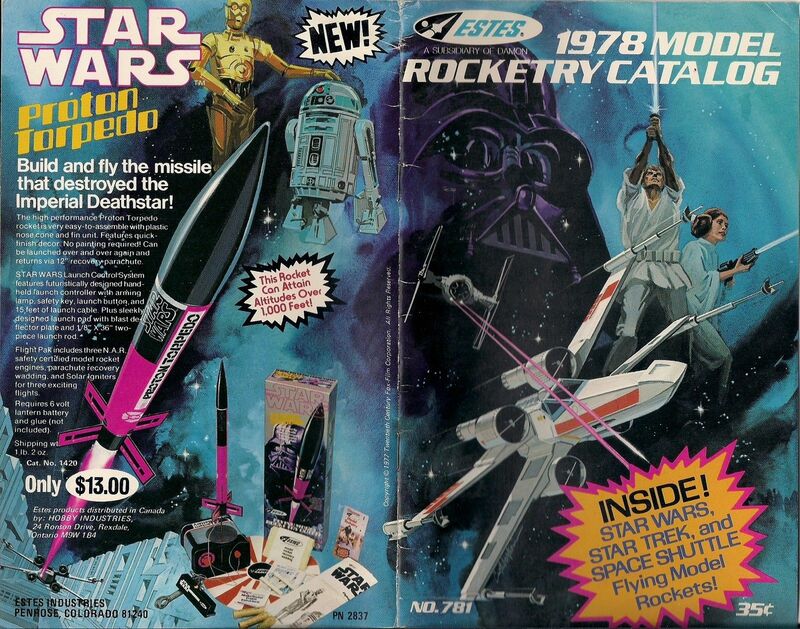 I think $15 was expensive considering everything else we wanted, and the parental units would much rather buy the Star Wars ship without an actual engine that could blow up in our faces. hahaha totally. 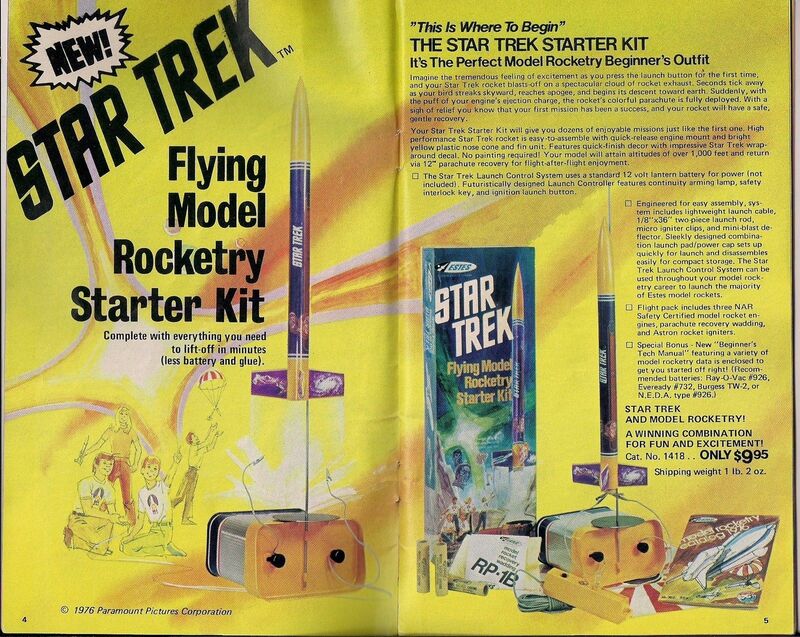 I wasn’t even allowed to fly rockets until I was in jr. high. With good reason, I’m sure. Such a fun hobby, though. 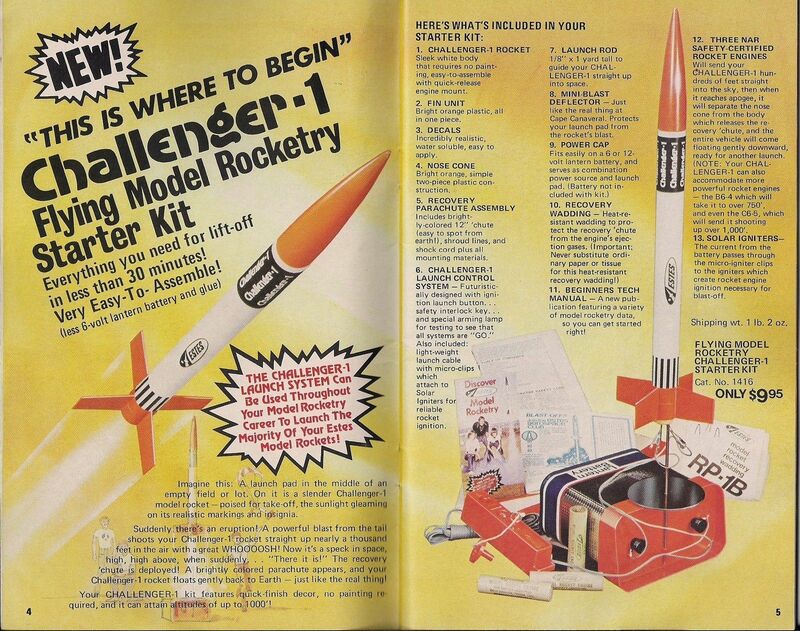 If I can remember right, I think I actually submitted an application to join the Estes Model Rocketry Club at one point. Lol, I was totally alone in that hobby though; I didn’t know anyone else who was even remotely interested in building and launching model rockets, much less the cool ones that let you put your own “passenger” inside, like a cockroach, roly-polies or some other “expendable” test-pilot whom we didn’t care if they survived the “negative G-Forces” or not. 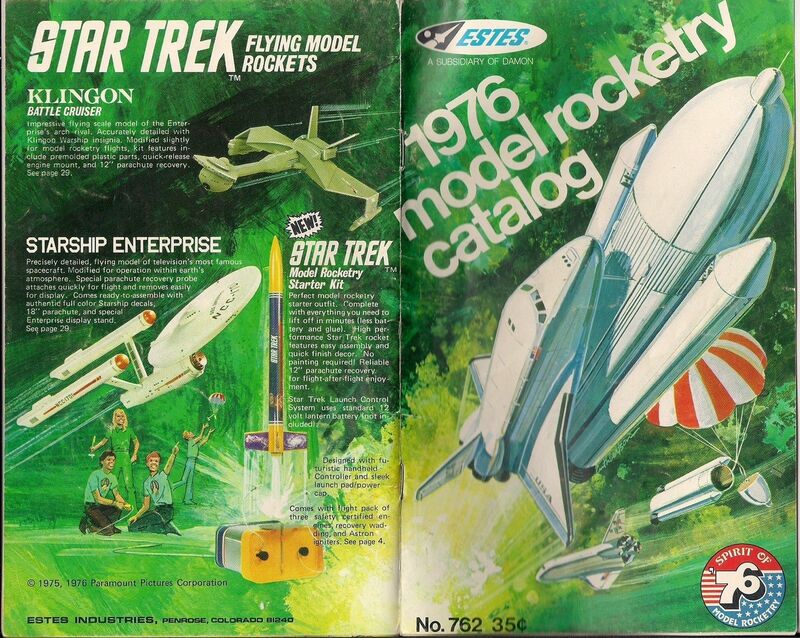 In the early to mid 70’s I’d pour through these catalogs for hours on end. When I saved up enough to buy one the anticipation of the purchase was some kind of a high. Watching The Six Million Dollar Man and rockets were happiness back then. The anticipation of buying, of holding whatever it was in the bag on the way home, was better than opening the package sometimes.